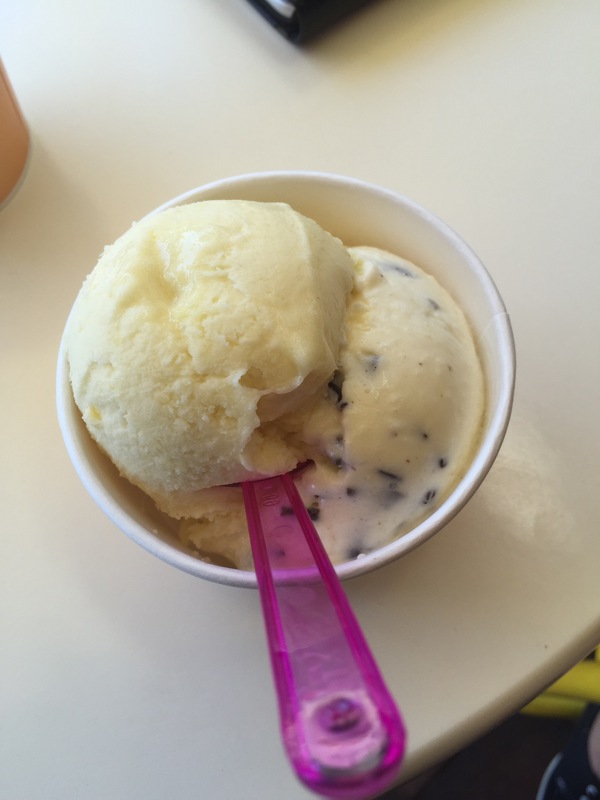 While we love Leederville, we don’t love parking in Leederville and on a stinking hot Perth day we were in a mood that only gelato could fix. 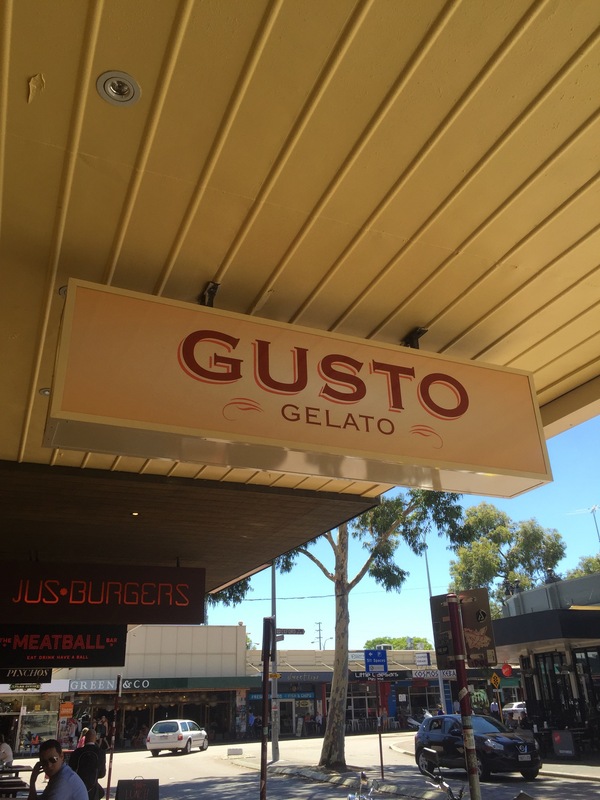 We headed straight to Gusto Gelato, tantalised by the prospect of small batch Italian Gelato. The man behind this delciousness is Sean Lee who gave up a career in advertising to pursue his love of gelato. 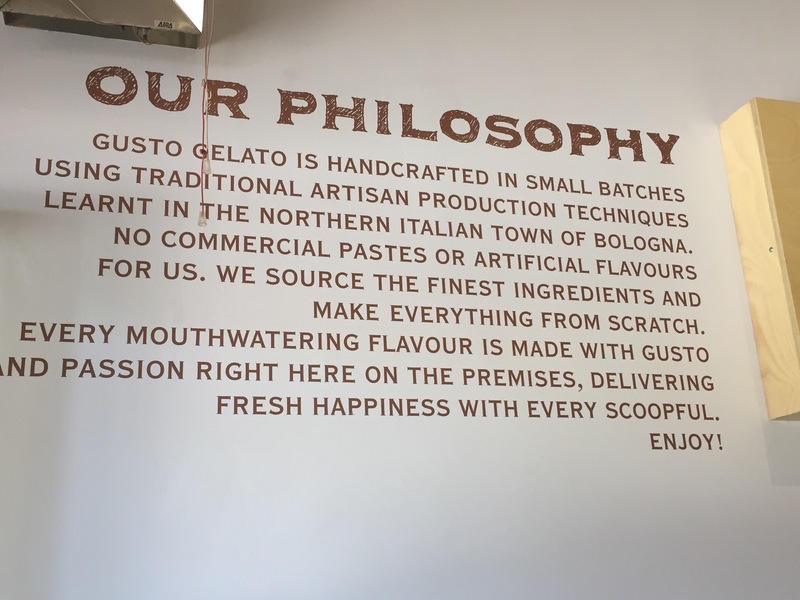 He traveled to Italy to go to Gelato College (yes it exists and yes you want to taste gelato made by someone who has been there) and returned to Perth having perfected the craft. He just loves gelato that much. 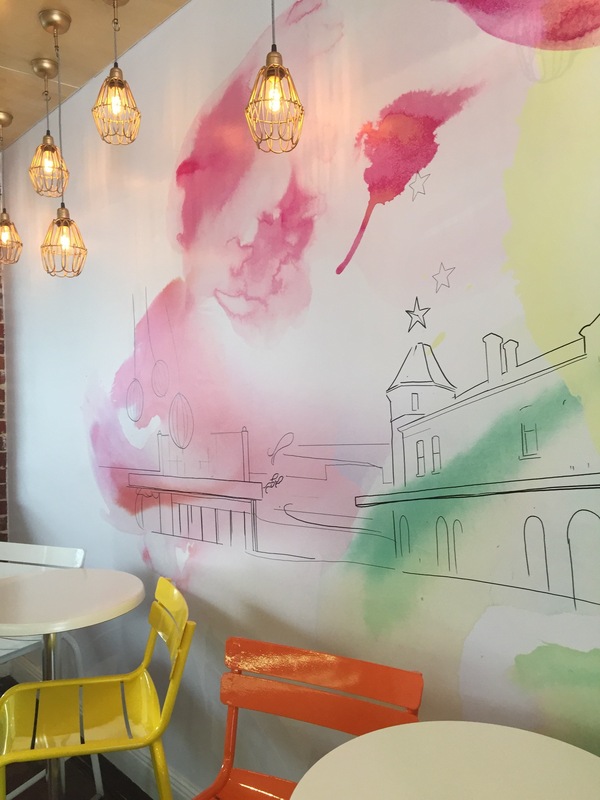 You’ll find the store in the heart of Leederville, it’s small and colourful, in candy tones that scream gelato shop. We took our time to make our selections, perhaps greedily, choosing one scoop each for $5. We tried the South Park special, salted caramel, smashed with a chocolate mousse cream and crushed peanuts. This gelato was creamy, rich and delicious. The star was without a doubt the salted caramel. The flavour was intense and utterly indulgent. The gelato was thick and creamy but still with that smooth mouthfeel. Our second choice was the mascarpone and cocoa. This was a more refreshing choice for a hot day, but it still had that creamy indulgence of South Park. It wasn’t your usual vanilla, and the cocoa was an accent more then a dominant flavour. Somehow this taster wasn’t enough and we went back and bought even more. If you’re not fond of sharing by all means go for your own cup at $5, but for our second serving we decided to get two scoops, served in the same container for only $8. Still in need of refreshment, we selected the pineapple and mint gelato. This was refreshing and light, perfect for the scorching hot Perth day. To our delight it had strands of fresh pineapple throughout, which really added to the flavour hit. Unable to drag ourselves entirely away from the indulgent flavours we also elected to try the Bounty, everyone’s favourite coconut and chocolate combination. This had a beautiful creaminess and chocolate and coconut throughout and really captured the feel of the chocolate bar with a delicious gelato edge. 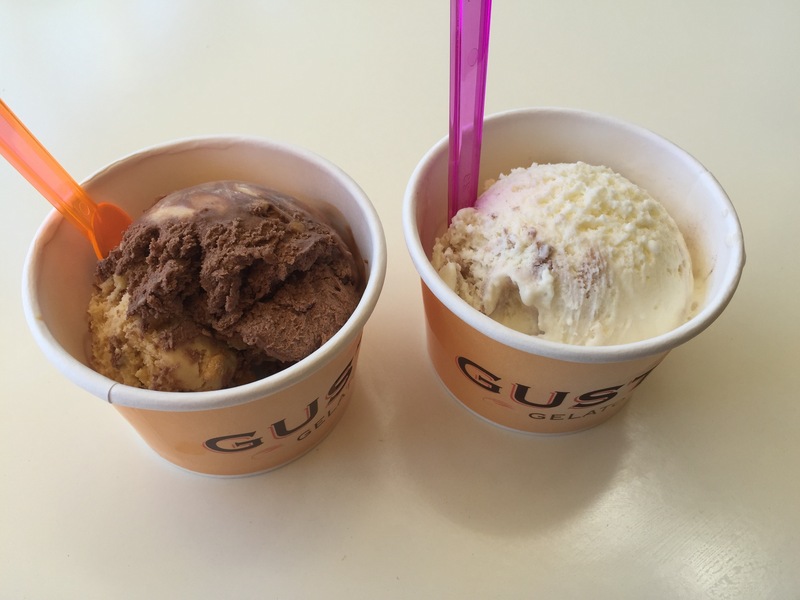 If you’re a fan of gelato, or if you have yet to try real Italian gelato, head over to Gusto this instant!